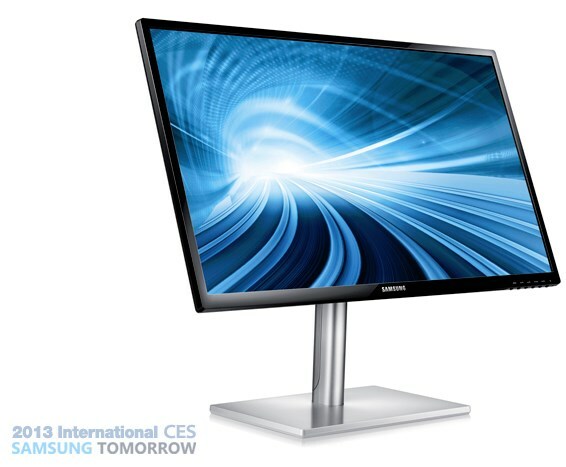 Samsung presents the SC770, a new 24" ten-point multitouch screen designed for Microsoft's Windows 8. The screen has a MVA-based panel with a 1920 x 1080 pixel resolution, 178-degrees viewing angles, 5ms grey-to-grey response time, 250 nits brightness and a 5000:1 contrast ratio. Other features include integrated 3W speakers and a USB hub.